The Star Wars Holiday Special – Everything you never wanted to know about it! 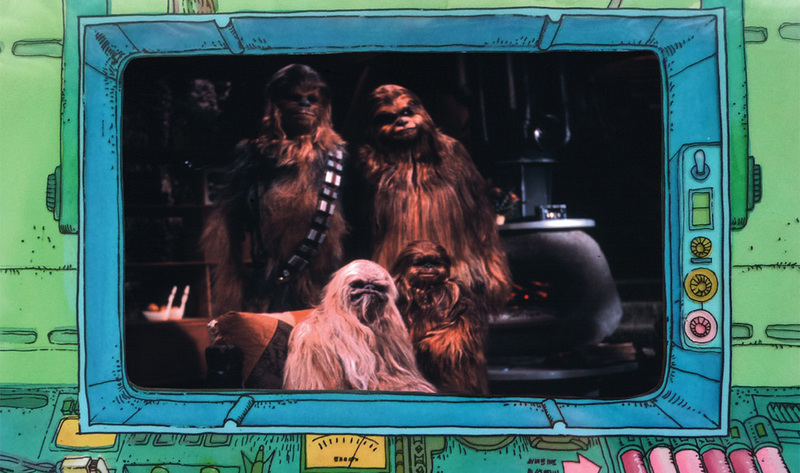 40 years ago, The Star Wars Holiday Special aired on November 17, 1978…and it never aired again. But people are still talking about it today. 15 years ago, StarWarsHolidaySpecial.com went live in November, 2003…and we’ve been live ever since. And now we’re celebrating the 40th anniversary of a show that was intended to be forgotten and probably never seen again. This site was created as a labor of love in homage to the 25th anniversary of The Star Wars Holiday Special, which aired one time only on November 17th, 1978 and has been virtually lost ever since. The intent was to gather as much as there is to possibly know about the Holiday Special and document it in great detail, since this has never really been done before. Most websites that cover the Holiday Special can’t seem to get past how awful they thought it was. We are well aware here that this particular film is not the brightest star in the Star Wars galaxy; however, we feel that there are a lot of good or enjoyable aspects about the Holiday Special that are often overlooked. Additionally, for those of us who saw the show during its original airing in 1978, there is a certain feeling of nostalgia attached to it that is trapped in that time period, and the Holiday Special is part of that. Take a look around the site, and whether you like or hate the Holiday Special, we hope that you will enjoy what we’ve put together here. So take another look around and then check back soon, because there’s more to come. In the coming weeks we will be adding new articles, interviews, photos, multimedia, and other surprises to the site. We guarantee you’ll learn some things about Star Wars that you never knew before. And be sure to check out the video below of our panel appearance with Tom Spina and Pablo Hidalgo from FanX Salt Lake Comic Con 2018, “40 Years of The Star Wars Holiday Special”. And again…Happy Life Day, everyone!